Chick Can Fly is an extremely simple game about a chicken that CAN fly. (pretty obvious) Based on a concept anyone who has ever played a game that starts with “Flappy” should recognize, your mission in this game is to “flap” your way up between 2 green pipes. Now at this point, you are probably thinking to yourself, “Why!? 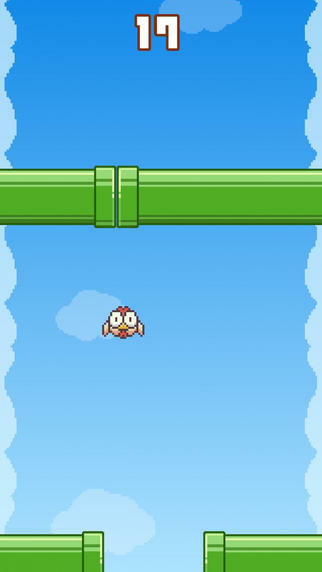 Why another Flappy Bird clone?” …Well, this one is actually little different. 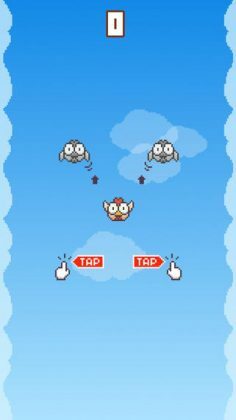 Set on a vertical stage, Chick Can Fly is played by flapping up and to the left or right by tapping on either the left or right side of your screen. This in itself isn’t all that new or original, but the pipes in this game definitely are! 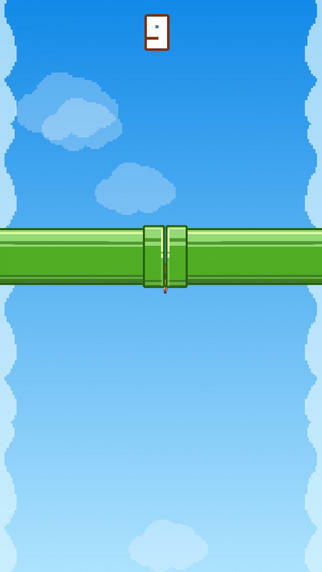 With pipes that periodically smash together, crushing anything that stands (or flies) in their path! Chick Can Fly adds an extra level of difficulty onto your typical Flappy Bird clone, reviving the annoyingly difficult game we all once loved and enjoyed. 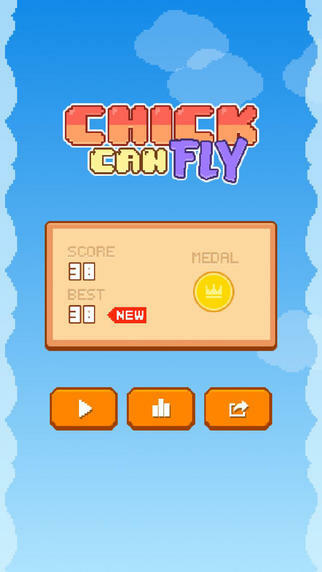 With surprisingly high-end Flappy Bird “Clone” graphics, Chick Can Fly probably won’t be your next favorite game on your smartphone, but it is an interesting little game you can play and enjoy while the novelty lasts. So, are you ready to bring back all the annoying feelings of frustration you felt toward the original king of frustration, Flappy Bird? If so, Chick Can Fly is the game for you.